There are many situations where a fast and uncomplicated approach is required. 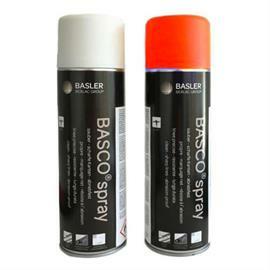 The marking spray BASCO®spray offers an efficient and cost-effective solution for various marking work. It is ideal for local repairs, patching, marking of small markings or as a mark for further work. BASCO®spray marking sprays are also very high quality and convince by their longevity.